Not so long after I was born again as a follower of Jesus Christ I was introduced to the concept of the AntiChrist, and that he would be some future world dictator who we do not yet recognise but will arise quite quickly making some sort of peace deal with Israel, a 7-year covenant. He would somehow solve the problems of the Palestinian-Israeli claims over the city of Jerusalem, and, by making it a UN-controlled city, bring in world peace. Then he would set up his image — some type of supercomputer that talks — in the holy place, which I was taught would be the newly-rebuilt Jewish Temple — the third Temple. This AntiChrist then breaks his 7-year peace agreement, at the 3½ year point, forcing all people everywhere to worship him as God. He stands in the Temple of God speaking as if he is God. Then he starts to persecute those who refuse to worship him as God, or refuse to take the Mark. He gains dictatorial control of the world etc.. Some Christians teach that they will be “raptured” (caught up to heaven) before he breaks the covenant, but I was taught that we Christians would go through Great Tribulation under this satanic dictator. This all is meant to happen just before Christ returns the second time, and that that event is very soon as we are living in the end-times. That is the general story that many are teaching today. But there is one problem big problem with it: Most of it is wrong! Some aspects of it may be correct but the whole story has been carefully woven into a lie. It is the futurist view of Bible prophecy conceived by Satan himself to divert the world’s attention away from the real AntiChrist who appears before the world daily. There is no need to wait for his future arrival. He is in plain sight now. Two Roman Catholic Jesuit priests very successfully perpetrated this lie on the protestant church about 400 years ago, and it has spread to the evangelical churches in the world today. Through the Jesuits Ribera and Bellarmine, Rome put forth her futurist interpretation of bible prophecy, which largely means the prophecies in the books of Daniel and particularly in the last book, the book of the Revelation of Jesus Christ. If anyone is looking to do a deal with the Palestinians and bring in world communism, through “green” politics and efforts against “global warming” it is the Papacy. 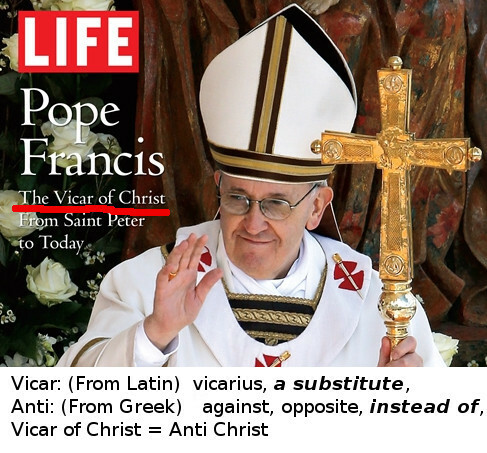 The AntiChrist has been there since the Church of Rome took over the power of the fallen pagan Roman empire. The ‘beast’ of the book of the Revelation now acknowledges the Palestinian State. It really seems like the Papacy is ‘coming out’ as the ‘little horn’ speaking great things against the Most High. 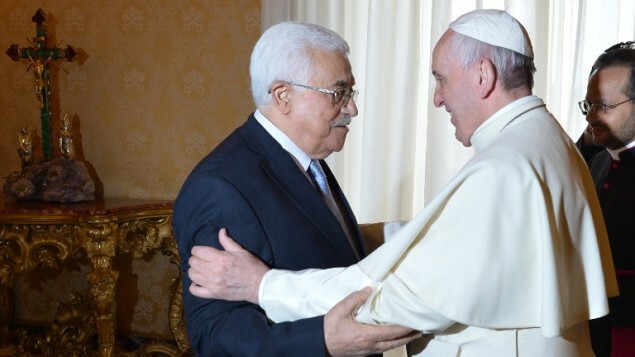 This pope Francis has declared himself a Marxist working with the communists and now the Palestinians. Regardless of your views on the state of Israel, and any potential solution, this shows how political he (it) has become in influencing/manipulating world affairs. This is what the Bishop of Rome did in the 5th, 6th centuries to gain the upper hand in political power. Just do a study on who has been a big persecutor of true Christians since the time that Emperor Constantine, in the 4th century, became a “Christian” and determined that it should be a Christian empire. Check out some what the Church of Rome has done to the true followers of Christ throughout the centuries. To put all this in perspective, I was led to look again at the prophecies in the book of the Revelation given to the Apostle John. I found it very compelling from what the history books tell us who the AntiChrist is and that that knowledge has been there in plain sight all along. I have completely changed my view from that futurist view, which I once blindly accepted. I now believe it to be a major lie to the Christian world, just as much as I believe evolution to be a major lie to the scientific world. Daniel 9:26b and the people of the prince that shall come shall destroy the city and the sanctuary; and the end thereof shall be with a flood, and unto the end of the war desolations are determined. The ‘people of the prince’ were the army of Vespasian the Roman Emperor who came and conquered Judaea. Under General Titus the Temple was pulled apart in 70 A.D., the Jews were sent into exile and hence the temple worship terminated. The land was ravaged by wars. The prince here was ‘antichrist’ in nature, that is, Emperor Vespasian, but he does not represent the futurist’s AntiChrist. The next verse is very a key one, which has been terribly misinterpreted by most of the evangelical churches who believe in and/or teach the futurist interpretations of bible prophecy. Daniel 9:4 …. O Lord, the great and dreadful God, keeping the covenant and mercy to them that love Him, and to them that keep His commandments. This event occurred in the last week of 7 years, which is divided into two 3½ year periods. In the first 3½ year period Jesus Christ preaches around the land of Judaea. This is the period of His ministry on Earth. Sir Isaac Newton suggested, in Christ’s death on the Cross He confirms the covenant, all the promises that had gone before Him, and fulfills the payment of sin as only He could do on that cross. Only by a sinless man’s sacrifice could mankind be redeemed. Of a certainty He died for those who repent of their sins. This occurs at the moment in time of His death on the Cross, which occurred at the end of the first 3½ year period, which is the middle of the last week. Jesus in His death causes the Jewish sacrifice to cease because He pays the price for our atonement finally and totally forever. There now is no longer any need for the annual atonement rituals. The veil of the Temple is rent in two (Mark 15:38). There is no record of the Ark of the Covenant ever being returned to the Holy of Holies after the return from the Babylonian exile. But because Jesus is our Mediator there was no need of the Ark nor the Temple. And there was no longer any need for a priesthood. After that the Romans came and eliminated the Temple worship anyway. That was for a period of 3½ years, the second half of the week. Daniel 9:27c and for the overspreading of abominations he shall make it desolate, even until the consummation, and that determined shall be poured upon the desolate. The overspreading of abominations is the description for the false gods of the Romans that He (Jesus Christ) brings into the land making it desolate because they rejected their Messiah. The word translated as ‘overspreading’ has the meaning ‘covering,’ covering over the land. So this whole prophecy is about Christ, his return and the destruction of Judah. The abomination of desolation that Daniel speaks (Daniel 9:27; 11:31; 12:11) of and Jesus mentions in Matthew 24:15 is one of these Roman gods, Jupiter Capitolinus. Under General Titus in the year 70 A.D. the Jewish Temple was destroyed, pulled apart, stone from stone, as predicted by Jesus in Matthew 24:2. In 135 A.D. (the 16th year of the Emperor Hadrian), the Romans placed the abomination by building a Temple to Jupiter, on the site where the Temple of God in Jerusalem had stood. Read my Daniel 9 prophecy notes and the notes I have been writing on the Revelation of Jesus Christ! Also read this comparison of the key verses here (Daniel 9:4, 27). This entry was posted in Biblical doctrines, Church History, The Papacy and tagged future world dictator, futurist view, historical view, Jesuits Ribera and Bellarmine, Jesus Christ, John Hartnett, Papacy, Roman Catholic Church, the AntiChrist, the book of the Revelation, the pope. Bookmark the permalink. 4 Responses to Who is the AntiChrist? 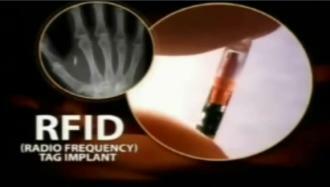 I pray this message wakes up sleeping Christians and evangelicals who have been deceived by Jesuit futurism! Scofield bares a great responsibility for promoting a bunch of false doctines based on Jesuit Ribera’s intentional misinterpretation of Daniel 9:27. Jesus was the one who confirmed the Covenant! It was the same Covenant Daniel mentioned in verse 4 of the same chapter! The final seven years isn’t a peace treaty; it is the Mosaic covenant strengthened, which is what Israel, Jews, that reject Jesus, want to have happen. The antichrist is the false Jewish Messiah. At the midpoint, the antichrist indeed stops the sacrifices at the the third temple, because he will die and resurrect just prior, and demand worship as god. The mark of the beast is about his resurrection: vav+vav+vav (6+6+6) = 18 chai, Hebrew meaning alive, which comes from chayyah, beast/living, and has become a popular symbol since 200 years ago, involved with money as well. That will be his name/reputation. God resurrects him to condemn the world through him, because they didn’t love the truth of Jesus, so God hands them over to a delusion, the devil’s son so to speak. I believe it will be involved in the census and money will be involved as per David & Moses foreshadowing in the old testament. Jerusalem is indeed the capital the embraces the antichrist in the future, and will influence the world to follow him. The esv translation of the 70 Weeks is the best, since it includes the all important period, separating the first seven weeks from the 62, which means Jesus can’t be in view as many think He is. The 70 Weeks can’t be complete either, because Jews are still living in disobedience to Jesus. It’s only after that they will come back to Jesus and live in harmony with God. And Jesus can’t be the desolator, because that is the antichrist who is the abominator that defiles the future third temple, which will be destroyed, and Jesus will bring down a new Jerusalem from heaven for the millennial reign. The 70 Weeks began with Cyrus’ proclamation to rebuild Jerusalem. After Seven Weeks, 49 years, the anointed one arrived, Nehemiah, who was a prince/governor, and got the project to rebuild Jerusalem going again after stalls. Then for 62 weeks it will be built again but in troubled times. This obviously is accurate since through the Persian, Greek, and Roman era, Jerusalem has existed and expanded. Then the prince, Titus, his people destroyed the city and the temple, defying his orders. And he shall make a covenant is still future, the antichrist. To say it is Jesus or any other messiah like Bar Kokhb, as some Jews say, is wrong. The pre-wrath, futurist, and pre-millennial view, refutes exegetically & hermeneutically the false views of preterism, historicism, amillennialism, pre-tribulationism, mid-tribulationism, and post-tribulationalism. For good resources: alankurschner.com bibleprophecytalk.com prewrathrapture.com prewrathministries.org There will indeed be a rapture which occurs after the midpoint of the final seven years, cutting short the great tribulation (antichrist and Satan’s wrath against Christians), at some unknown day & hour, before the Day of the Lord. Actually the day of the rapture, then the Day of the Lord occurs, hence pre-wrath. Just like with Noah’s flood, Lot, etc, the very day they were rescued, God’s wrath then began. Jews also believe in two messiah, Son of Joseph and Son of David. They believe Messiah ben Joseph will conquer Israel’s enemies, and then die, and Messiah ben David will resurrect him, ushering in the Kingdom era. And those who refuse to obey their Messiah will be destroyed. Of course we know that Jesus fulfills both, as the suffering servant who resurrects, and the Messiah who will reign with a rod of iron upon His return. Steve, Thanks for your opinion. Some aspects of your interpretation I once believed, but no longer. I certainly do not hold to an exclusive futurist view, any longer. Much has been historically fulfilled already in my opinion. I know there are many different views on this subject, and now “we see through a glass darkly” but when Christ returns we shall know it all clearly as “face to face”. And Jews believe when their messiah comes, those who refuse will be extirpated (destroyed). I also forgot in the 70 Weeks, when it mentions the anointed one cut off and have nothing, the Hebrew could be translated, and the anointed place was cut off, and there shall be nothing left of it. Most translators have a presupposition that Jesus is in view so render it with capital letters of Messiah, etc. It’s fine. I just like to get the major points across in case we end up being in the final generation, so people don’t get deceived by the antichrist. Most of the world is deceived, and so Satan and the antichrist focus on Christians and Jews, to get them to the lake of fire where they are going. God allows all this so he weeds out the false Christians, and finds faith at his return.